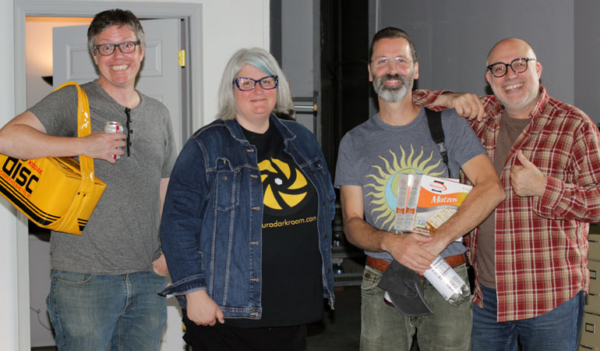 Mike, John and Mark D welcome Jen from Oscura Darkroom - a community darkroom in NJ launching a Kickstarter today! Also Nikon F4 and Lubitel 2 reviews. The Obscura Darkroom Kickstarter launches TODAY! Check out the KICKSTARTER HERE! Quote of the Episode: Mike: "Jen, there is no right or wrong answer, Canon or Nikon?” Jen Answer: “Pentax!" 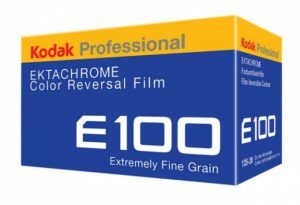 NEW EKTACHROME IS ON THE WAY!! This community darkroom will either open in Newark or Jersey City, close to public transportation to maximize its user base. Jen also believes that it is important that the darkroom become part of an arts supporting up and coming neighborhood. Obscura Darkroom will not only hold a darkroom but also space for events focused on film photography. Plans include classes for children and adults. While she is funding most of the construction herself, she is asking for $10,000 to purchase equipment and supplies like enlargers, a color processor, sinks, ventilation, etc. Jen was first introduced to film photography in high school in 1989. After college she had no access to a darkroom so she was forced to leave the medium. 20 years later, she rekindled her love for photography by taking photography classes at the Art Academy of Cincinnati. After moving to New Jersey in 2014, she was disappointed to find that there were no public darkrooms. While taking some time off from her job at Ikea, Jen asked herself a life changing question. “What do you really want to?” Her answer, “ Teach people how to work in a darkroom.” Obscura Darkroom was born. The Obscura Darkroom is offering a unique set of rewards ranging from swag such as tote bags, t-shirts, and stickers to original prints from Jen and opportunities for advanced membership in the darkroom. The coolest reward has to be “Name an Enlarger” where backers can get a plaque with your name on an enlarger station. Introduced in 1988, the F4 was the first professional autofocus camera with matrix metering and motor drive. Designed by car designer, Giorgetto Giugiaro, the F4 came in three flavors, regular F4, F4S (extended battery pack), and F4E (even larger battery pack and supports 250 frame attachment). It has a large clear screen making it easy for those who wear glasses to see the entire frame. The F4 is backward compatible with every Nikon lens made back to the 1950s. Mark’s take: It is nice to have every conceivable feature that you could want on a camera in your hands. but… it’s HUGE, heavy, has lots of black plastic, and is completely battery dependent. Mark’s biggest complaint is that his F4 has trouble with autoloading and advancing hand rolled film. NO!!!! Want to know more about the Nikon F4? The Nikon F4 was previously reviewed on the FPP in Episode 103 by Rick Paul. The Lubitel 2 was a camera made “for the people”. It is a 120 medium format twin lens reflex camera based on the Voigtlander Brilliant. Lubitel means amateur in Russian. It was originally made by GOMZ which eventually became LOMO. It is a crappy camera. Images will be soft and dreamy. Setting the aperture can be clunky and the lenses can get out of alignment. Your results will be LO-FI but that is why she loves it. Want to know more about the Lubitel 2? 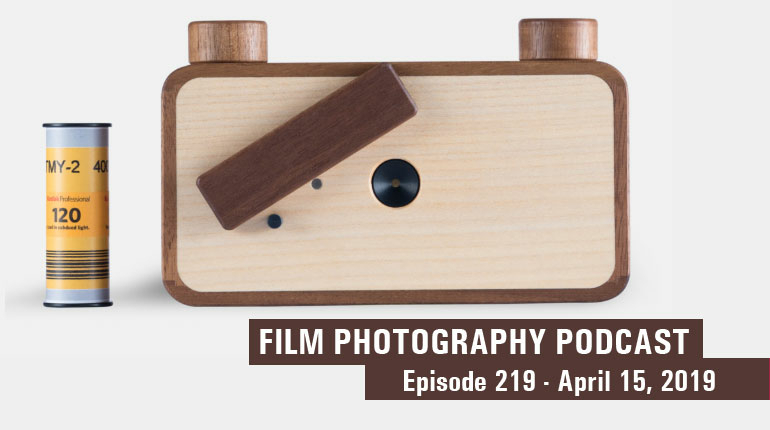 The Lubitel 2 was previously reviewed by Leslie in Episode 173. Joseph Brunjes is a professional musician and photographer who currently lives in Walnut Cove, NC. Joseph received his photographic training from the International Center of Photography and the Center for Alternative Photography, both in New York City. He first learned film photography from his father, John Henry Brunjes, III, while in middle school. He teaches wet plate collodion at the Sawtooth School for Visual Art in Winston-Salem, NC.